Be sure to stop by and visit us at Booth 1103! See you there! ... look for the red-themed booth. The 2019 ETD - Exploration Trends and Developments: Mineral Exploration Trends and Developments is now available. Prepared by Patrick G Killeen Ph.D, and published in co-operation with The North Miner. 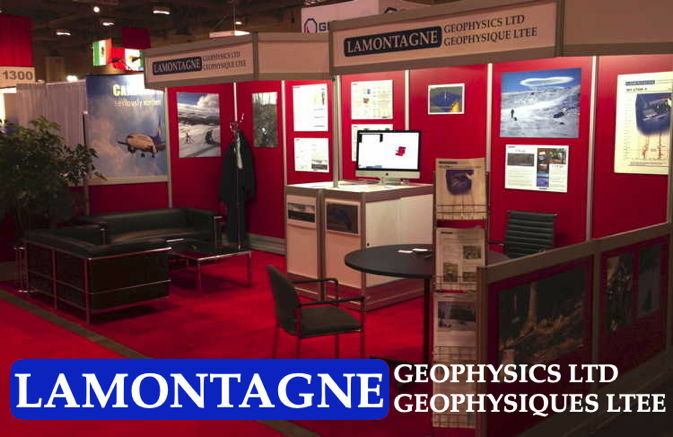 Lamontagne Geophysics Ltd. has been a member of the PDAC since shortly after its own inception in 1979. The company sends considerable representation each year to the annual PDAC Convention in Toronto, Ontario. Lamontagne supports the PDAC's interests and believes in maintaining strong links between companies and persons belonging to the mining and exploration community - both in Canada and abroad.